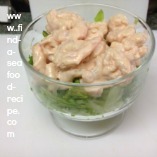 This shrimp cocktail recipe is so easy to make. 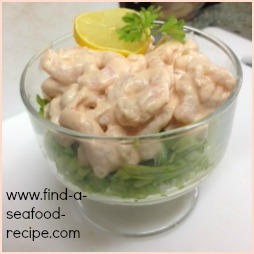 It's a wonderful appetizer or you could make a large cocktail in a pretty dish to use as part of a buffet - maybe for a Superbowl party or other celebration. In the UK, this is referred to as a prawn cocktail. 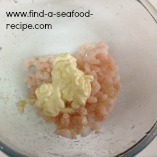 You can use fresh or frozen shrimp (prawn) for this cocktail recipe. 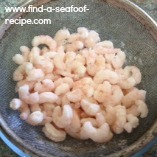 If you're using frozen, then sit them in a sieve whilst they defrost. 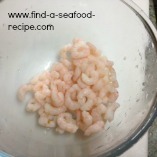 Pat the shrimp dry before adding to a bowl to make the cocktail sauce. 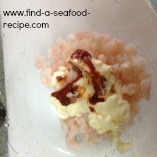 Add one tablespoon of tomato puree to the shrimp/prawn and mayonnaise. 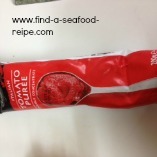 Very carefully, stir the ingredients together. 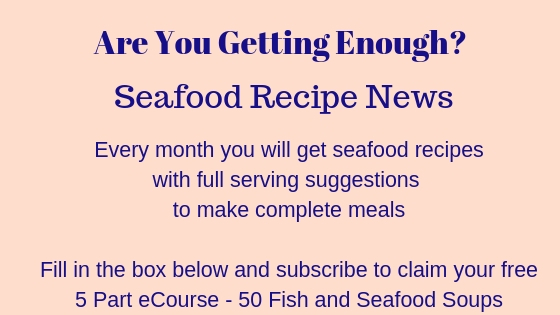 You need to make sure that all the shrimp are covered by the cocktail sauce. 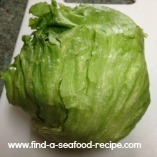 I like to use a firm iceberg in this recipe but you could use any type you prefer. 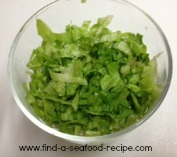 Chop it finely and put it in the bottom of a serving dish. 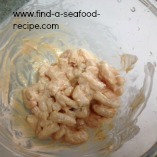 Pile the shrimp mixture on top. 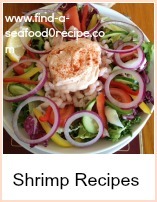 Garnish with a lemon slice or wedge and a sprig of parsley. 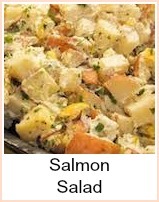 You can serve this recipe with some brown bread and butter as an appetizer or it could be part of a buffet party. 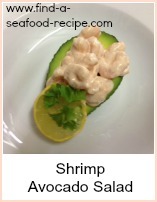 Very popular shrimp cocktail recipe makes a stunning seafood appetizer. It's just as good as a main course with some crusty bread.